The very first step for using Taiga is to sign up. To do this, go to the Taiga homepage, click SIGN UP and then complete the process on the registration form. Note: You can later edit the profile information you add on the registration form. 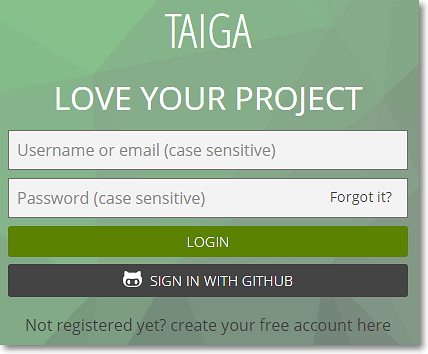 For more details about editing your user profile, you can go to The Taiga User Profile. 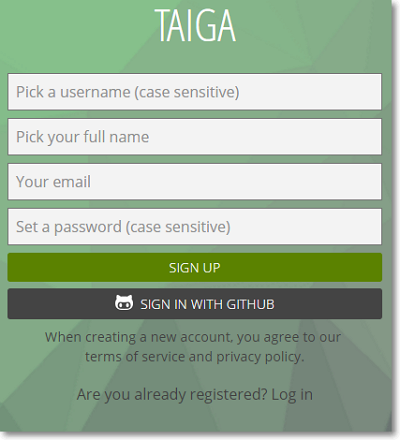 If you have already created a Taiga user, go to the Taiga homepage, click LOG IN and then complete the process on the form.